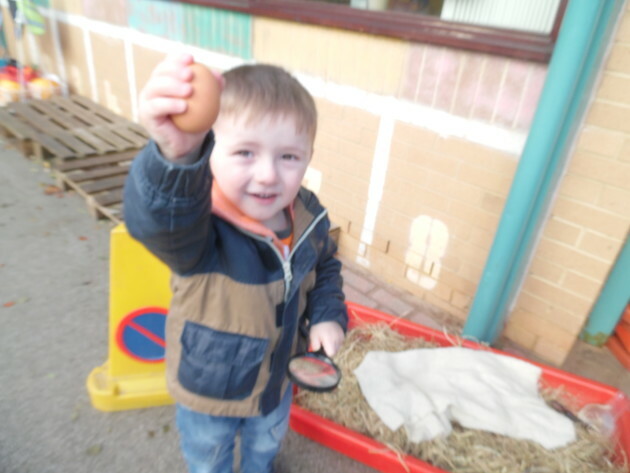 On Wednesday 23rd November, Nursery had a WOW day. The children arrived in Nursery to discover that dinosaurs had visited them and laid some eggs in a nest. 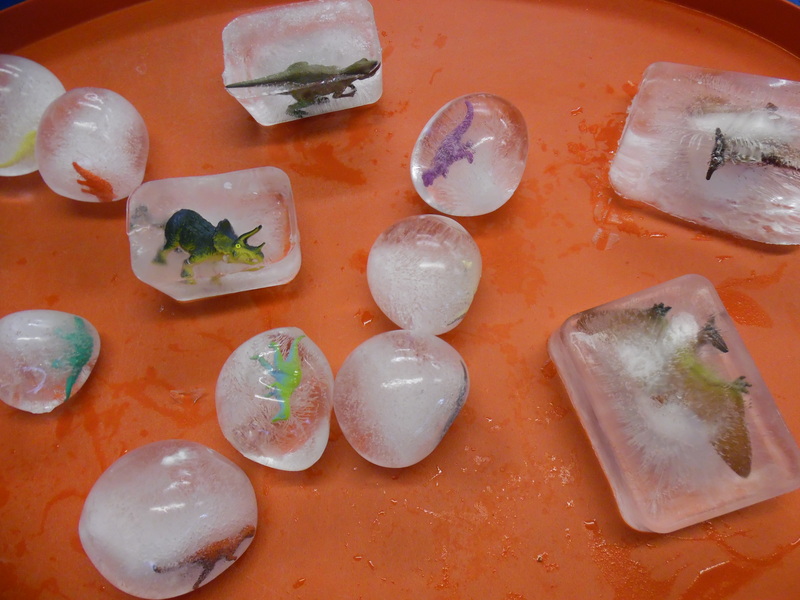 In the classroom they also found some frozen eggs. 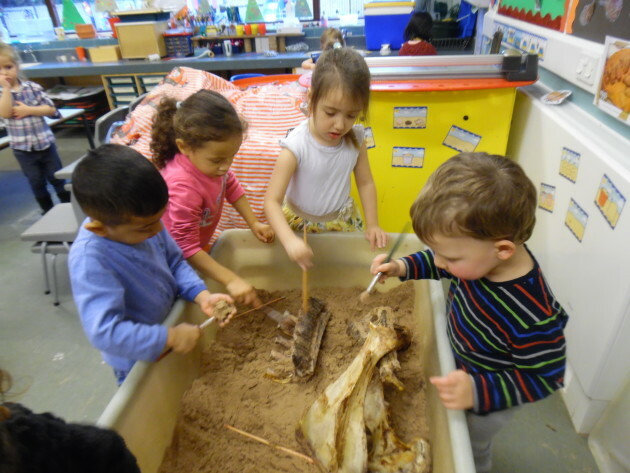 There were real ‘dinosaur’ bones for an archaeological dig, and there were lots of other activities to explore including dinosaur mazes with string, dot-to-dots, soft sand and small world dinosaurs. They listened to dinosaur stories and songs, and watched video clips to find out more about them. They excitedly now watching the dinosaur eggs hatch out in the water tank. Hi, would be interested in sending my daughter to this nursery. She is 3 years old and will qualify for the free 15 hours. I was wondering what hours the nursery timings are from and till? If you would like to give the school office a call on 01274 774446, they will be more than happy to give you all of the information that you require and discuss the possibility of a visit to the school.